Perhaps the most powerful lesson of Transplanting International Courts is to beware our own parochialism. After all, the only thing new about the Andean Court of Justice (ATJ) when Karen Alter and Laurence Helfer first noticed it was that US-based scholars had begun to take note. The ATJ was created in 1984 and has had an active docket for decades. Its lack of visibility is due, in part, to its survival strategy: Alter and Helfer show that the ATJ does not strive to shine through activist rulings; rather, it is a quiescent court that competently applies the letter of the law case by case, particularly in the realm of intellectual property. But its low visibility is surely also due to a certain scholarly myopia towards things not from Europe or the United States, things not in English, things from poorer countries. 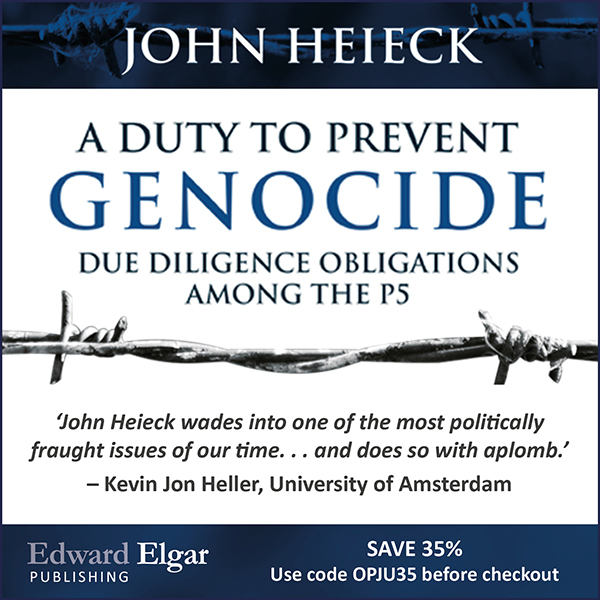 As Helfer confesses, the ATJ was an active court when he co-authored his groundbreaking article on the effectiveness of international adjudication in 1997, but neither he nor his co-author, Anne-Marie Slaughter, were aware of its existence, “let alone that the tribunal had decided any cases” (p. 261). Transplanting International Courts rights the record, placing the ATJ in its proper place in the pantheon of international courts. Because it sits in a restive corner of Latin America, and has done so for over 30 years, the ATJ proves that international courts can survive under dramatically different conditions than those found in Western Europe. The case serves as a test of many theories about court power developed in the context of Western Europe, theories which Alter and Helfer convincingly argue must now be narrowed or recast. For example, the European Court of Justice is unique not because of its relationship to national courts, as argued by Alter in her first book, but rather, she now writes, due to the ideologically driven jurist advocacy movement that championed European integration in the ECJ’s early years (Chapter 9). It is fascinating to watch these two scholars who have played a seminal role in founding the field of international courts revise their earlier theories in light of the ATJ’s unexpected existence and their rich data documenting its success. The result is a powerful contribution to the literature on international courts. Although Alter and Helfer celebrate the ATJ as the third most active international court in the world and the most successful transplant of the European Court of Justice (ECJ), the book closes with a sober vision of the role of courts in the developing world: “The most that an international court can do, we argue, is to help states individually and collectively adhere to legal rules that they have imposed upon themselves (p. 282).” It is actually somewhat rare and very welcome to see judicial politics scholars embrace the judicial role of simply applying the law to a case. But this conclusion strikes me as too broad for two reasons. 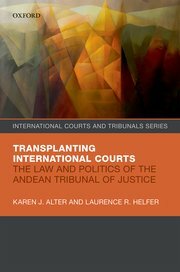 First, there is another European-style judicial transplant in the region that has also been adjudicating cases for roughly the same thirty years, which has grown to have significant influence in at least two ATJ states (Colombia and Peru), all the while adopting a strategy and role almost diametrically opposed to those of the ATJ — the Inter-American Court of Human Rights, created by the Organization of American States in 1979 and having jurisdiction over 20 Latin American and Caribbean states. 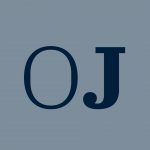 Where the ATJ’s many cases each year are mostly “narrow, repetitive questions of IP law,” the Inter-American Court deals in a few, highly symbolic cases in which states are accused of human rights violations, and often of mass atrocities. Where the ATJ issues narrow rule-bound rulings, the Inter-American Court makes the most of its small docket by issuing expansive, innovative judgments. Where the ATJ declines to follow the European jurisprudence because it is too bold, the Inter-American Court declines to follow the European Court of Human Right’s jurisprudence because it is too timid. And where the ATJ enjoys a high judgment compliance rate, the Inter-American Court issues judgments with long lists of ambitious reparatory orders which all but ensure partial compliance at best (ordering states, for example, to amend their constitutions, reform their judicial system, or educate their police forces on CEDAW). Not surprisingly, the Inter-American Court’s high-profile strategy has costs: several states have withdrawn from the underlying treaty or otherwise tried to escape the Court’s authority. And yet the Court has survived, its judgments have real, measurable impact, and it has come to be viewed as a court of last resort on rights issues in many states. In other words, the Inter-American Court seems to occupy a very different role than that which Alter and Helfer suggest is the only role available to courts in the developing world. It is true that the Inter-American Court at times helps states adhere to specific legal rules that they have imposed upon themselves. But the law can be indeterminate, and the Inter-American Court also has the role of giving content to, and at times providing a new understanding of, certain provisions of the American Convention on Human Rights. Put differently, the Inter-American Court provides a site in which the states and civil society can struggle over and articulate (and re-articulate) shared standards of moral achievement, understood as fundamental rights, in dialogue with national rights litigation. One might also note that the Inter-American Court had an additional role earlier in its trajectory, when its focus was responding to the atrocity crimes of the military dictatorships of the 1970s and 1980s: to build on the work of the Inter-American Commission in accompanying the victims of state repression and bringing their claims to public light. Some of this may be changing. As the Inter-American Court further develops its ties to constitutional courts and lawyers in the region, it is likely to become a bit more constrained and legalistic. And as Alter and Helfer show in their excellent new chapters on the ATJ’s more recent struggles, the politics of the Andean states can at times thrust the ATJ into the political limelight despite itself. But the differences between the two courts’ trajectories thus far suggest that, even within a single region of the developing world, there may be different paths to success, and different kinds of success, for international courts. Looking forward, this book is brimming with insights that merit further study by international courts scholars (including, for example, empirical study of whether the Inter-American System has ever had a jurist advocacy network (p.260)). It seems equally if not more important, however, to put Transplanting International Courts into conversation with those who study comparative politics. Alter and Helfer’s finding that “ATJ rulings helped to inculcate rule-law values in the domestic IP agencies” (p.276), and even helped curb corrupt practices, seems particularly salient in the wake of the Odebrecht scandal (which has affected Colombia, Ecuador and Peru in particular). Their theories about the construction of a stable, rule-following realm in the heart of a volatile region should be read by the broad audience of scholars and policy-makers interested in rule of law and democracy in Latin America and beyond.